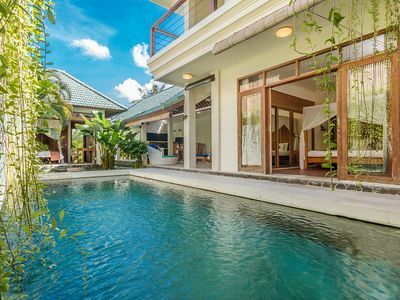 This villa is a modern style villa offering a blissful holiday retreat located within the semi-rural village of Umalas, away from maddening crowds of Seminyak but still within 1 km to most famous Metis Restaurant in Petitenget. 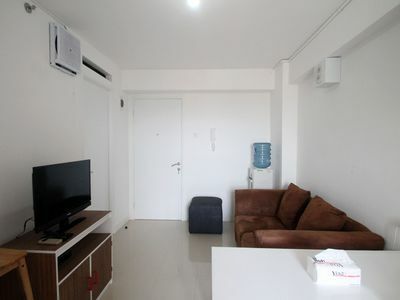 1 bedrooms with king size beds, has private en-suite bathroom, flat screen TV, AC, wardrobes and safety box. 1 bathrooms has vanitys, toilet, towels, soaps, shampoos . Fully equipped with 3 burning gas stove and exhaust on top, refrigerator, water dispenser, microwave, toaster, juicer, rice cooker, plate, spoon &amp; relevant utensils and crockery. 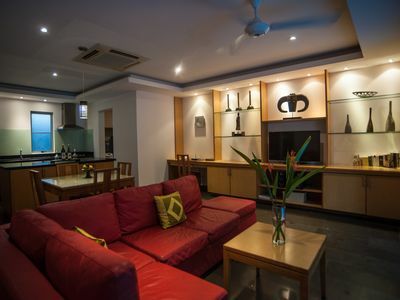 The living area features sofa lounge in L-shape and round table, 32 inch flat screen TV with international channels, DVD player and ipod dock. 1 flat screen TV with international Channels, DVD, Ipod dock, and internet Wi-Fi. concierge, butler, gardener and full time staff housekeeper. 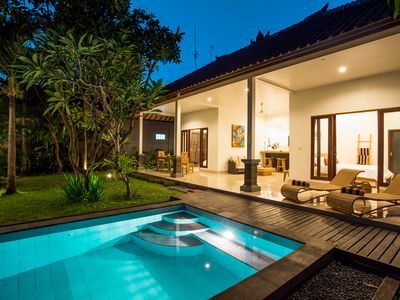 Located on Jalan Umalas, Badung, Bali, Indonesia. 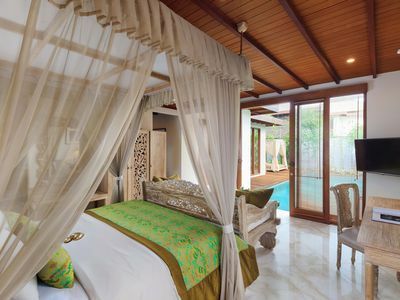 Situated in the quiet village area of Umalas (meaning rice paddy and forest) and is about 20 minutes from Ngurah Rai International airport. The nearest beach is just five minute drive, a few minutes further along the sands you will reach the most stunning Mozaic Beach Club, Woo Bar at W hotel and Potato Head Club for sunset drinks. -Umalas restaurant Lezato (French) 50 meter. -Monsieur Spoon (Bakery, French) 100 meter. 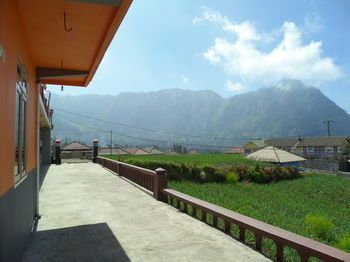 -Nook Restaurant (Indonesian &amp; International), La Caseta &amp; Warung Hotei within 600 meter (10 minutes) by walk. 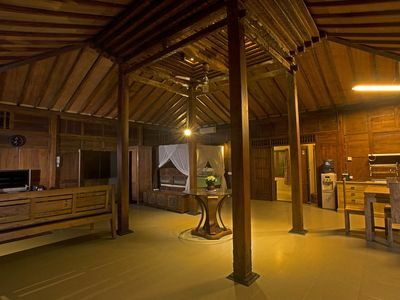 -Fine dining Restaurant such as Metis &amp; Sardine within 1 km (13 minutes) by drive. 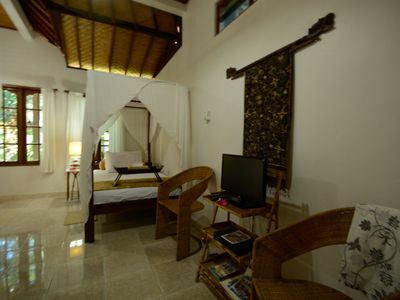 -Beach at Batu belig, Mozaic Beach Club, Potato Head Club 2.7 km (5 minutes) by drive. Please state in your inquiry if you'd require airport transfers. There's a transfer fee of IDR 200K one way for one car, to fit 4 people and luggage. Fee payable to driver directly. All rates are subject to 15% of Government Taxes and Services Charge. All taxes are collected upon arrival.